We are at that time of the year when we decide to take a step back and try to get a better sense of what was really going down in 2014. It’s the end of 2014, and I have had my fair share of experiences this year with quite a lot which includes apps. I believe these are the apps that were making all the difference in people’s lives, including my own so here’s a list of the apps that stood out in ’14. If you had a smartphone or feature phone in 2014, then you’re probably not a stranger to WhatsApp, the highly popular messaging service that has been disrupting the messaging space like never before. If you were thinking any less of WhatsApp then you probably need to think again. 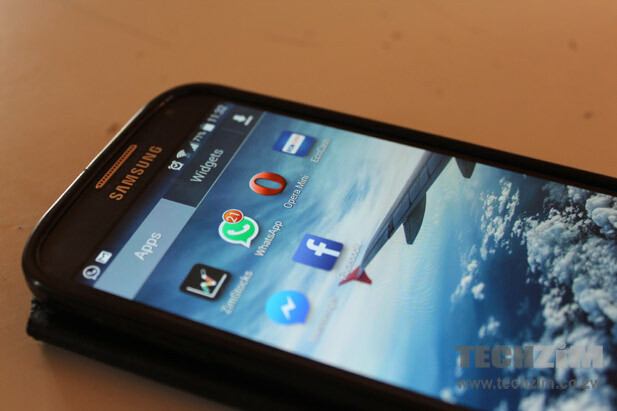 It was just this February that Econet Wireless introduced WhatsApp bundles and this changed a lot of people’s usage patterns (honourable mention to Telecel on this one too). Personally, I ceased to use WhatsApp as an afterthought. In fact, I started finding excuses just to chat with people because it was that much better. God bless the guy who even thought of adding groups to the service, because like anyone else praising this move, I can second that WhatsApp’s groups feature is way better that Facebook’s Newsfeed. I also have to mention that WhatsApp’s highly controversial blue ticks were something noteworthy. It was convenient, unless it was in the hands of a stalking partner (it basically turned into a weapon of mass destruction). Payments have come a long way especially this past year, but they still have a long way to go. There’s no doubt that the platform that has been highly adopted by the public is EcoCash. So it’s kind of a no brainer that Econet has been making a few strides to bring this service to as many people as they can, so this included the tech savvy who wanted the best experience on their smartphone with the EcoCash app. I tried to make the most out of the app but sometimes it just wouldn’t work. It made me believe there’s a lot of work that needs to be done to bring a better experience to the app. Just recently they launched an updated version of the app, so hopefully more improvements to the app are going to come from EcoCash. There are quite a few people I have met who have used the app and they mentioned how the app would work fine in most cases. I reserved space for the EcoCash app on this part of the article chiefly because I believe that if Econet opens up the app (and the platform) to third-parties then they’d be the ones to beat. If you check out the most downloaded apps from both the Play Store and the App Store you’ll most likely find Facebook/Messenger on that list, and for good reason. Both these apps from Facebook have every reason to be the most used apps, even locally. Since I deleted my account a while ago, I have tried to work my way back to the social network and I fell in love with all the changes that have been introduced to the apps. With Messenger, you can merge your local messages with the app so you can have a centralized space for all your messages which I thought was nifty. The fact that our Facebook bundles worked with the messenger app also made it a good option for VoIP calls on a $3 monthly budget. When the Opera Mini bundles were launched, I for one was elated by the gesture. I could easily see why this browser had such a huge following and as a long time user I knew this would bring quite a lot of change. I believe there’s a lot of potential with local apps but for some reason they just fail to take off. This is not because the app is badly designed or people just hate them. It’s just that sometimes support can be lacking and you get little to no updates. I had a few quirks with the ZimStocks app. It was a great app overall and probably the best in its class but sometimes it became a lot buggier. I usually had a pop-up message telling me that the app had stopped working even when it was running in the background. It even got to the point where it got annoying. Sometimes it also felt like the app was doing a lot better as a news aggregator than anything, which somehow defeated the point of being a top-of-the-line stocks app. It’s great but it also needs some work (this has been happening with the Android version of the app). 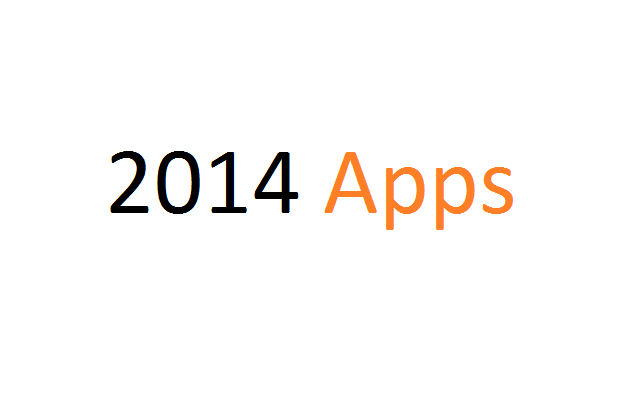 I think these are the apps that were the best in 2014, but then again it’s subjective. I know there are other people who are seeing this differently so I’d love to get your own list of winners in the app game. Which apps really made your year in 2014? One app that impressed me was the road angels app. It’s simple, serves a real purpose, works offline (no need to worry about data bundles), innovative and easy yo use. They need to update it a bit more regularly though.